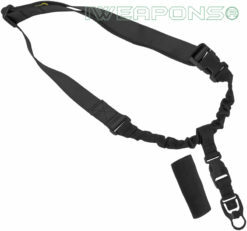 Israeli Weapons offers rifle slings and sling adapters made under IWEAPONS® brand. We export only our top models of rifle slings and their attachments. That is why we offer 1-Point, 2-Point and 3-Point models, including sling adapters to provide a full solution to mount a gun sling. 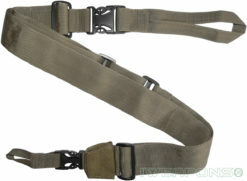 If you know what rifle sling model you need, then the only thing you need is to choose is the color (black/green/tan). But if you not sure what model you need, you can choose one of these 3 models: One-Point, Two-Point and Three-Point slings. For additional information you can go to each of the product pages and read their description. As manufacturer of these slings and our slings mounts we offer them for a very reasonable price, while we make them from top quality materials. These products have been developed with experience of IDF/Zahal, these slings one of the most important products in the Israeli army, because most of the soldiers receive rifle sling with their rifles, making this the first and sometimes the only accessory they mount on their gun, that is why we invested a lot in research in our rifle slings, as we provide height quality solutions including rifle sling mounts. In the past rifle slings mostly used to carry the rifles, but today they used as tactical accessories that allows the soldier to use his gun in combat with maximum tactical potential, they even add additional tactical capabilities in the battlefield, especially when used over combat/bulletproof gear by giving additional flexibility or when the soldier have additional sidearm, so he can reach it quickly during the combat. When you order a rifle sling, keep in mind that we also offer sling adapters, to help you to mount your sling if you do not have a connection point for you sling. We offer mount for Picatinny/Weaver rails and our famous Velcro mounts for front and rear sling connection points. Keep your rifle safe and secure with an IWEAPONS® brand rifle sling. 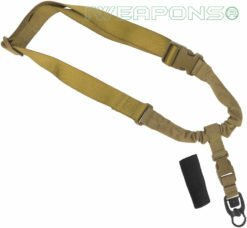 At Israeli Weapons, we have a wide variety of tactical slings available to meet the needs of most users. No matter the type or size of rifle, we have a sling that will secure it properly, and even stylishly. Velcro sling adapters are a quick and convenient way to securely mount a gun sling on your rifle. Your firearm is always in place and ready to go when you need it. Israeli Weapons offer a wide array of rifle slings at affordable prices. Our slings are designed to give you that IDF army experience that you desire. The slings are adjustable so that comfort is the last thing that will be on your mind. In addition, we have adapters that can be fitted to your 1-point, 2-point and 3-point slings. 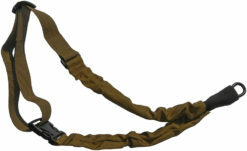 Check out our many rifle slings and their adapters here, also check our catalog. We also provide detailed information for each sling adapter and its mount solution. Whether you’re shopping for a bungee sling or a three-point sling, you’ll find a variety of useful designs here. All of our rifle slings are adjustable for your comfort, and our tactical slings and sling attachment can be designed to fit your particular weapon and achieve your desired results. Most of our slings are available in several color choices, and they are all created to exacting standards. When you’re looking for a new rifle sling for your carbine, mid-length or any other kind of rifle, check out our selection of tactical rifle slings, and also make sure you have the right sling adapter to connect it. Rifle slings designed to make it easier and more comfortable for you to carry your gun. Made of durable materials and fully adjustable so that you can set them to your preference, they mount on your rifle by attaching them to your rifle sling adapter or to general equipment as front iron sight. IWEAPONS® rifle slings are extremely easy to attach and remove, leaving no permanent marks or damage to your rifle. Rifle slings are worn over a shoulder or across your chest, allowing you to keep your firearm at the ready at all times. In the event that you need to use your hands for something else, such as double-checking a map, using the phone or setting up equipment, your gun sling will ensure that your weapon stays at your side and within easy reach. You can purchase a rifle sling for nearly any firearm, and if your gun doesn’t already come with a way to mount a sling, you can purchase Israeli Weapons made sling adapters that are effortless to install. In the use of firearms, a sling refers to a type of harness or strap designed to allow a shooter to carry a long firearm such as a rifle, submachine gun, and even a shotgun on their person, as well as aiding in better hit probability with the particular weapon being used. Now commonly referred to as tactical slings, they can be used in the tactical requirements of a short term combat scenario, law enforcement or civilian use. With many different uses and manufacturers, rifle slings can be divided into several categories and now also come with innovative additions for ease of use and better comfort. The one thing all primary weapons have in common is that they can be awkward to handle because of their length; this is where rifle slings come in as they offer the gun user a simple and uncluttered way to support and carry the firearm. In the use of firearms, a sling is a strap or harness used to help with carrying the firearm and aids in greater aim and increased hit probability. Gun slings offer many advantages to the user. There are disadvantages as well, if you use the wrong one. Variable types are available depending on the intended use or type of firearm. Israeli Weapons designs and manufacture rifle slings for dozens of years. Many of our rifle slings were custom made for our clients in the military and in the police force. These IWEAPONS® brand rifle slings made with the highest grade materials for durability and superior function, just like all items made by Israeli Weapons. Rifle slings were originally created with only one use in mind, and that was to free the hands of the gunman. Sometime in the 18th century the swivel adaptors were developed to make the slings more efficient. 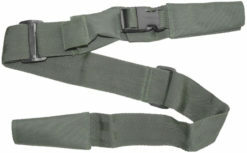 Later a sling was designed by a colonel from the National Guard and it remained the number one sling of choice for many years. The sling swivels were made of brass and eventually changed to steel for increased durability. The materials and the ease of use have improved dramatically ever since. 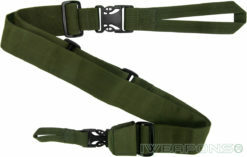 In fact, the slings are now recognized for improving aim, and not just a way to carry your rifle. The comparisons below are to help the consumer determine the most suitable rifle sling and sling adapter for your use. Often called the most comfortable of all rifle slings, an IDF 2-point sling is a versatile piece of equipment that you can’t be without. Made of high-quality and durable materials, these IWEAPONS® brand slings allow you to carry your rifle in a variety of ways. When adjusted to your liking, you’ll be able to sling your weapon over your shoulder, on your back or around your neck. 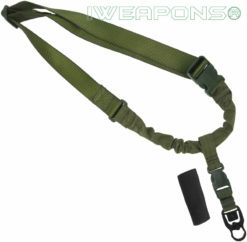 Manufactured by Israeli Weapons, these carbine slings come complete with a number of features that make them indispensable in the field, such as the adjustable extension clip and a small pouch for storing ear plugs and other necessities. In addition to alleviating the weight of your weapon as you trek to your destination, they also ensure that your rifle is at your fingertips should you need to use it. These two-point sling available in green or black to match your needs and are made of tough, non-slip nylon and metal fastenings and hooks so that you can enjoy years of dependable use. When you need your weapon in position and ready for anything, turn to an IWEAPONS® brand three point sling. Featuring the high quality that you’ve come to expect from Israeli Weapons, these tactical slings act as a harness that keeps your rifle close to your body and in position. They allow you to release your weapon to reach for a sidearm, without fear that your rifle will drop or shift. 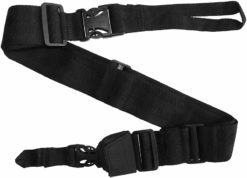 Designed to fit on a variety of rifles, these three point slings are constructed of the finest materials and are fully adjustable for your comfort and safety. The design of this tactical sling, which distributes the weapon’s weight over your body, also aids in making your rifle easier to carry for longer periods of time. These 3-point sling available in several color options and are made of strong nylon for durability that you can count on in all types of tactical situations. Thus the most advanced tactical sling we export as it can be also used as 2-point standard sling and the bungee 1-point sling. Keep your weapon close at hand in close quarter battle (CQB) at all times with an IWEAPONS® brand bungee sling by Israeli Weapons. Constructed of durable materials for enhanced reliability, these single-point slings keep your weapon close to your body while also allowing you to easily maneuver it. If you need to reach for your sidearm or other equipment, just drop your rifle and it will stay secure on your single-point sling on your side until you need it again. In addition to quality workmanship, you’ll also enjoy fully adjustability and a quick-release buckle so you can effortlessly disengage your weapon. This lightweight one-point sling is available in a choice of colors and can be worn over uniforms of all kinds without adding bulk or weight. This tactical sling can be worn on either shoulder and be transferred from one side to the other in seconds. 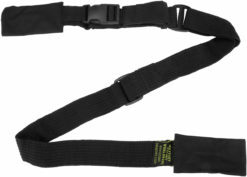 With this bungee sling, you can go from resting to ready in the blink of an eye, no matter the combat situation. 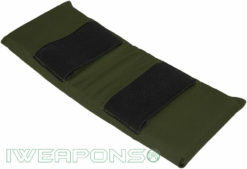 Here listed accessories for rifle slings, these accessories can be used with our rifle slings. If you have any experience with Israeli Weapons you are aware of their high standards and superior quality. We constantly work to anticipate the needs of consumers and improve our offerings. Rifle slings are no exception in that regard. We offer the finest and the largest assortment of slings and adapters for you to choose from. Why Buy Rifle Slings from Israeli Weapons? Israeli Weapons offers high quality slings with a wide range of applications, which makes them perfect for a lot of different users. All products manufactured by the company are carefully designed to perfection so you can rely on these weapon holders for years to come. Israeli Weapons originally started to manufacture weapons slings with the Israeli Army (IDF). 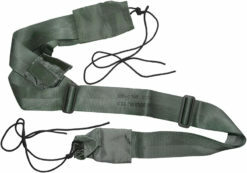 The company produced slings to provide the army with the highest quality materials which would be required in combat. Each sling adapter meets army certifications and is made from the top quality materials necessary to hold up to these standards. Each sling went through years of testing to ensure that it would hold up in combat. With the years of development and research that went into each product, you can guarantee that they will last the way you need them to in any given situation. It’s important that slings are durable, but you also want to select a product that was designed for comfort. 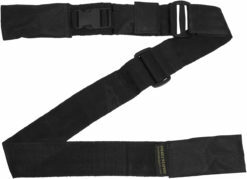 A rifle sling from Israeli Weapons is designed to be easily adjustable so it can be worn over any combat materials with ease. The high quality nylon is durable, but also breathable. The sling will stay in place in a variety of conditions without moving up and onto the neck. 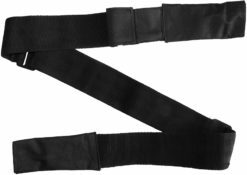 These rifle slings are designed to be worn for long hours and on top of heavy gear, so not only will they stay in place and provide a strong hold for your weapon but they will not pull or cause discomfort during use. 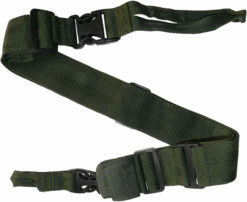 These slings were designed for military grade operations so they use the highest quality materials possible. The straps are made from extremely strong nylon to guarantee durability. All clips and accessories are made from solid metal that will not warp or wear. All parts have been developed using military technology to guarantee that they can be used in combat without being concerned. When you are performing tactical maneuvers you cannot take the risk that your weapon will slide out of place or fall because your strap has broken. All straps from Israeli Weapons have been specifically tested to ensure that they will provide the highest level of support possible for your rifle. The materials chosen for these straps were specifically tested to ensure that they will not show signs of wear and tear prematurely, even if they are used in harsh conditions. Those that are looking for a gun sling that is reliable and durable can count on the products from Israeli Weapons to hold up to their strictest expectations without concern. There is a wide range of products available with the company which helps guarantee that you will be able to find the ideal product for your needs, almost always. 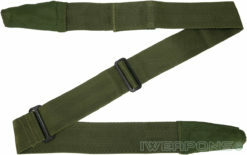 The traditional sling, or simple sling, is the oldest and most familiar design of rifle slings. This type of sling features two connection points that are used to attach to the front and rear of the firearm, which allows the user to carry the gun over their back or in a guitar-like fashion. The sling can be draped over their torso, around the neck, or over one shoulder. This is the original and traditional design most gun users will be familiar with. 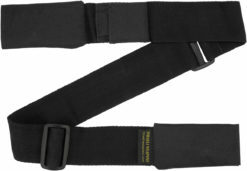 When attached to the front and rear of the firearm by two connection points, the two-point sling can act as a shooting aid if properly made and allows for the carrying of the weapon on the user’s back. In this case, the sling can be placed over a shoulder, around the neck, or across the body. There are also two-point adjustable slings that allow the shooter to quickly adjust the length of the sling with a pull tab called two-point quick-adjust slings. This sling is similar to the traditional two-point sling described above, but has the added capability of being able to quickly adjust the length of the sling with a tab you can pull for a custom fit and better comfort. 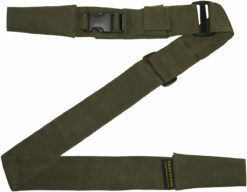 This sling was developed by the IDF (Zahal) for soldiers use in combat. They realize the importance of a reliable sling that offers easy maneuvering and reduced load carrying stress. This is one of the most flexible slings around. 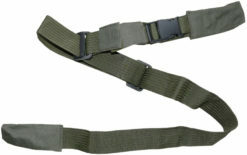 The sling is mainly available in army green or black. Adjustments in this sling are made using a pull tab mechanism: it includes a quick release tab to adjust the tension, even while wearing it. The durability and reliability are ensured by the high quality nylon straps and the hooks are specifically designed for a secure connection. The two point sling can be carried over the shoulder, across the back or around the neck, leaving your hands free. The ease of positioning affords quick transition into combat status when required. This sling has been field tested and is in use now by the IDF, which demonstrates it has passed the strict standards of Israeli weapons. 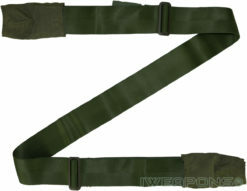 It is another high quality rifle sling designed by IDF. This is an improved version of a very popular sling that has been in use for many years. It is more versatile and compatible for several types of weapons. It is also identified as the most comfortable sling because it does not shift position or ride up on your neck. This sling allows for easy customization, even in the field. The straps can be adjusted on the front and back ends to suit your height and preference for carrying position. You can change the weight point with only a quick pull of a tab. The straps extended length accommodates the tactical gear that is so bulky and will not interfere with access to the gear you need. Durability remains unsurpassed with this sling, due to the high grade of materials used. For example, the nylon will not wear or fray even when abused, and lightweight metal hooks are known to secure the weapon in place. 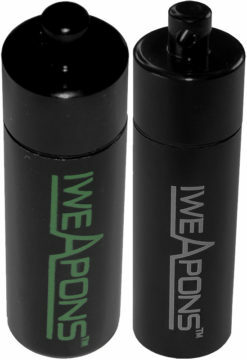 Expansion is quick and easy to use of the Velcro extended clip. It is available in your choice of army green or black. It’s passed the strict quality tests by Israeli weapons during field testing. This is a sling that will outlast the competitors for years. This 2 inch wide strap is made of the same high-grade nylon for increased longevity of use and a serious reduction in wear and tear. Front and rear adjustment points of the strap increase the ability to customize it to your position of comfort, which is secured with two metal hooks. When in an especially rough terrain, cords are known to offer increased security and limit unwanted weapon movement. The clip on the body of the strap, for instance, allows for quick adjustments even during combat, giving you extra control over your weapon. Your preference in carrying position is easily configured as well, whether it’s over the shoulder, around your neck or across the back. Proper length of the strap will prevent entanglement with other gear and assuming a combat stance will be second nature. The tough nylon straps are available in black or army green and the little pocket, though unexpected, is quite handy. This sling is standard issue from the IDF and will last longer than you will hopefully need it. Single-point slings are specialized slings designed to allow the shooter to be able to easily transition to firing from the opposite shoulder. 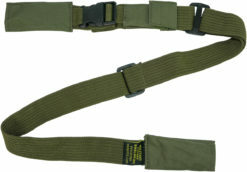 These types of slings are ideal for short-term tactical use, and like the three-point sling, they allow for the freeing up of the gun user’s hands while the gun remains attached to the shooter’s body and hangs downwards in a safe position. Single-point slings can only be used in one way and therefore do not offer the same level of anti-fatigue weight support that other types of slings can. The biggest advantage of the single-point sling design is that it makes it easier for the shooter to change sides for weak-side tactical shooting. On the negative side, the design of a single-point sling can make the firearm dangle in an inconvenient way, creating a greater risk of getting in the way or being caught in the shooter’s other equipment. Single-point slings simply hang the firearm vertically at the front of the body and allow the operator to switch to firing from the opposite shoulder. Because of this, a single-point sling can only be worn one way and is more ideal for short-term use as it does not offer the same kind of support provided by two-point or three-point slings. The downside to this design is that the weapon tends to dangle in front of the user in an inconvenient fashion, although its one great advantage is that it makes it simple to switch shoulders during certain types of close quarters firing. Single-point slings are more suited to shorter weapons because of they way they let your firearm hang from your body; they can, however, be used on longer firearms such as rifles and submachine guns for short periods of time. 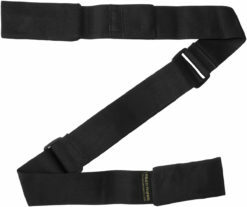 Further, with the addition of a single-point quick detach (QD) adapter, a single-point sling can immediately be transformed into a two-point tactical sling without the need to remove it from your body. The three-point sling is more advanced because it works in the same way as a harness, and can therefore be strapped to the body of the gun user. This setup allows the shooter to be able to free their hands and carry out other tasks such as using a sidearm, breaching doors, or using your other gear while the gun remains firmly attached and within easy reach should it be needed. The design of the three-point sling is simple but effective, consisting of a loop of strong material that is used to loop around the gun carrier’s body, as well as a couple of straps that attach to the front and rear of the rifle. These two attachments to the front and rear of the firearm and the shooter’s body are the three points from which the sling gets its name. A three-point sling gives the shooter greater flexibility because it allows them to release the firearm without dropping it. The sling acts as a holder when strapped to the gun user’s body. A three-point sling loops around the torso of the shooter and has two straps that are used to attach to the front and rear of the firearm. The three-point design allows the operator to carry the weapon without holding it which takes the weight of the hands while still remaining readily accessible. This facilitates for fast weapon transition from rifle to handgun, as well as freeing the hands for other tasks. If you already know what sling best suits your need, you just need to give us a call and we will gladly assist you with any details. If you are still considering the benefits of each sling and have any questions, please don’t hesitate to contact us. We have live chat or if you prefer, you can also choose to email us with your questions. You generally receive an answer within 24 hours. Please take a moment to explore the sling adapters and accessories while you’re here. There are several choices that either enhance sling use or provide solutions to individual problems. There are pressure switch Velcro mounts and Picatinny/Weaver rail mount adapters for front sling attachments. 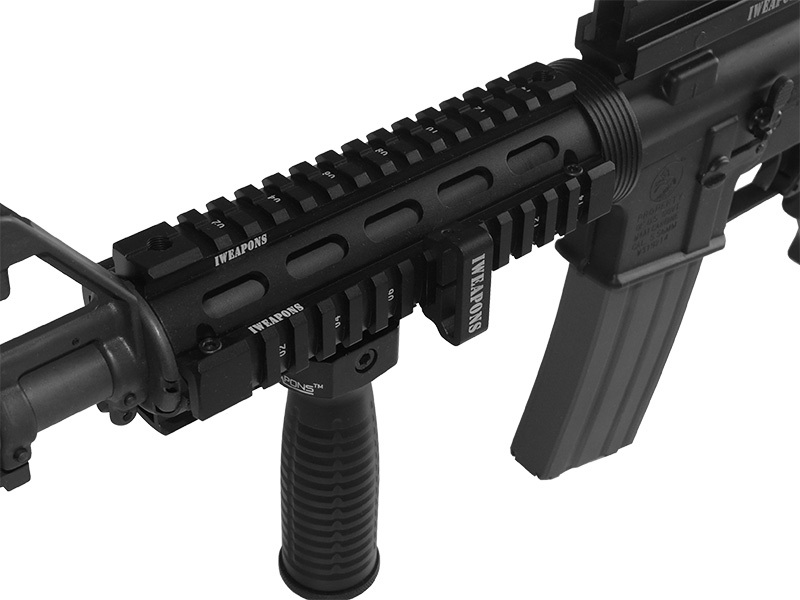 This adapter is compatible with any firearm that has a Picatinny/Weaver rail mount attached. It’s made of light weight high grade aircraft aluminum. These materials resist corrosion even with constant exposure to harsh environments. It’s definitely worth your consideration. Whatever choices you make, you know the quality and durability will remain unsurpassed. The IDF has consistently supplied superior military paraphernalia for many years. We have a knack for identifying problems and developing solutions. Field testing of all our weaponry is often done in the military and police departments, to ensure all items are functional and supersede the safety standards. There are variations of the single-point sling that are usually used in precision target rifle shooting while in the prone position. In this case the sling will not be used as a carrying aid, but as a means of steadying the rifle. In the case of a right-handed user this type of sling would attach to the top of the left arm, and then clipped onto the front of the rifle. When the left arm is wrapped under the sling, the sling and upper and lower arm form a tri-angle which becomes a steady support structure for the rifle. Using a rifle sling is not that difficult because the sling is a simple way to help carry, as well as keep in place any type of large firearm a shooter may be using. Generally, there is also no wrong or right way of using a sling, as different users prefer different setups and positions for their own comfort and accessibility to the firearm. However, the one requisite for all slings is strong and durable materials to ensure they hold the load of the rifle. For this reason, most rifle slings are manufactured of nylon webbing, or Polypropylene webbing, which is lighter and costs less than the commonly used nylon alternative, but just as strong. Like most things hanging from a firearm, slings are liable to get in the way; therefore, it may sometimes be convenient during operations to remove them, and in this case slings with quick-detachable attachments are ideal. Slings can also be used to aid accuracy; wedging the off-side arm into the sling is a great way to steady the firearm if you’re not using a gun rest. A little bit more tension on the sling created by grabbing hold of the free hanging parts of the sling can also make a huge difference in steadying your aim. Some slings come with fittings and attachments that allow them to be compatible with vehicle transport, or rack storage. 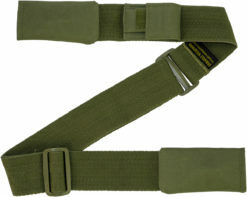 Because of the various conditions in which you may be using a firearm, such as hunting, where the terrain may be quite rough, and the length of time you use your rifle or other firearm means that the materials used to make the sling you choose needs to be strong, durable, while remaining flexible for comfort and convenience. In conclusion, there are many rifle slings you can utilize to provide more convenience and comfort, as well as resting your hands when you’re not using your firearm and bettering your aim and hit probability.